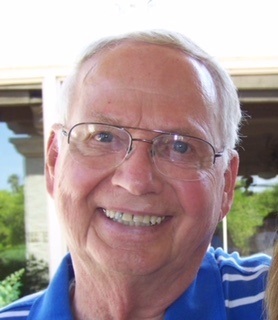 Celo Bruce Chambers, 89, passed away peacefully on Christmas morning, December 25, 2017 in Tempe, Arizona. Bruce loved the gospel of Jesus Christ, he served as a Bishop, Mission President and Sealer in the Mesa Arizona Temple. He loved his family and is survived by his wife: Frieda Mae Davis; 5 children and 33 grandchildren. A visitation will be held from 6:00 – 8:00 PM, Friday, December 29th and funeral services will be 10:00 AM, Saturday, December 30th at the LDS Church at 2549 N. 32nd St. in Mesa, Arizona. I have great memories of living close to your family though these many years. I was closer to Craig’s age, but spent a lot of time playing with Brenda and Sharla. Our families, along with the Davis’s went on vacations together. Bruce was always the life of the party. I don’t think I ever saw him angry or in a bad mood. He was always cracking joking and making others happy. I am so glad I had the chance to be around him, and feel of his influence in my life. Praying for your comfort, and the peace the Gospel brings. Love your wonderful family. I just heard of this sad news. Bruce was my mission president in Anaheim, CA. I loved him, what a great man. He was an excellent president. He will be greatly missed.